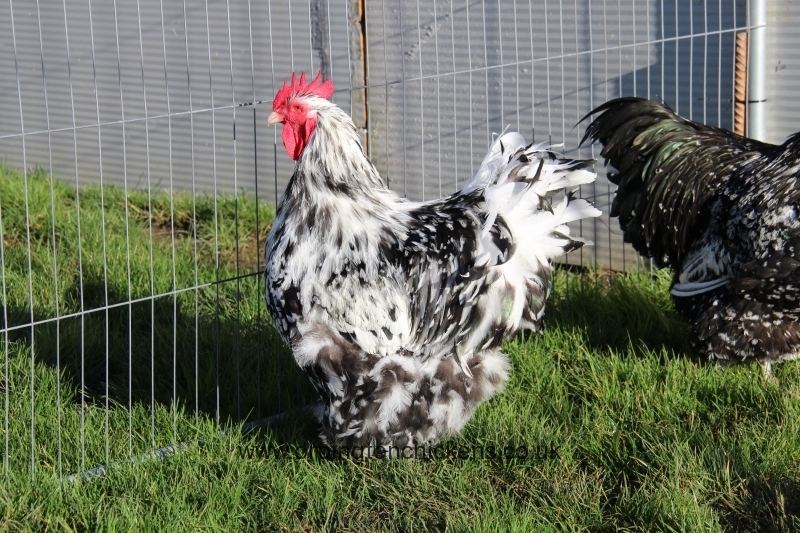 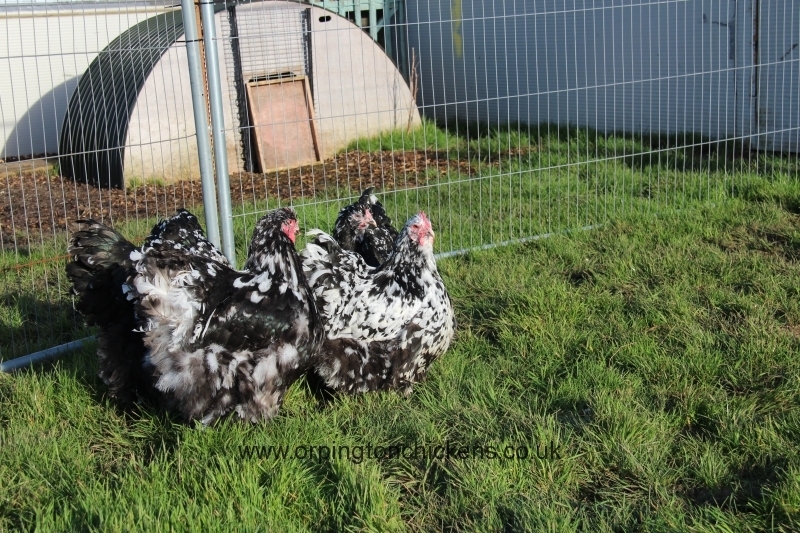 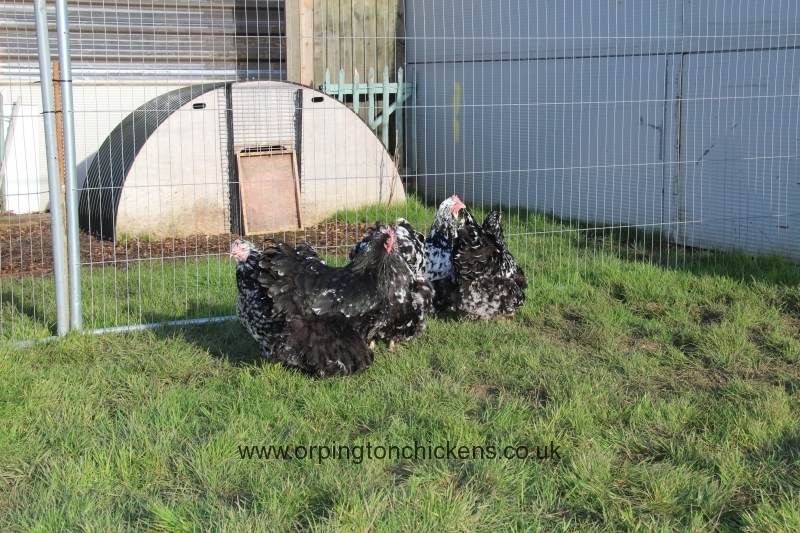 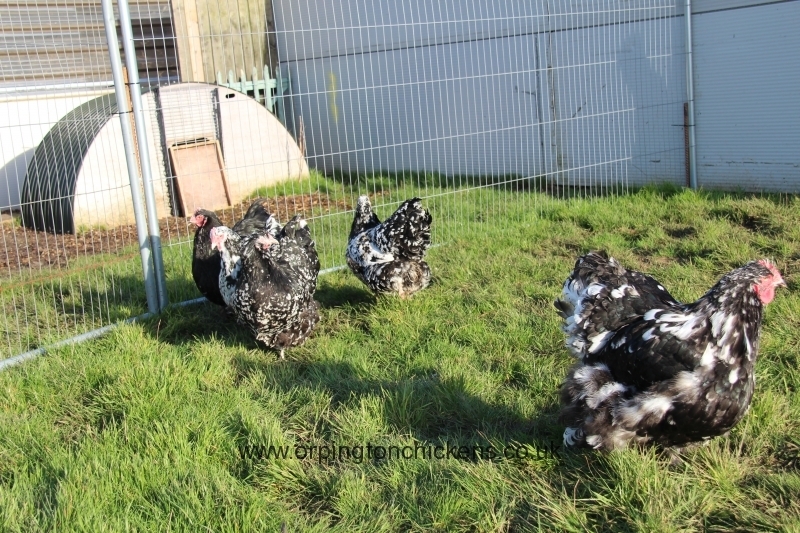 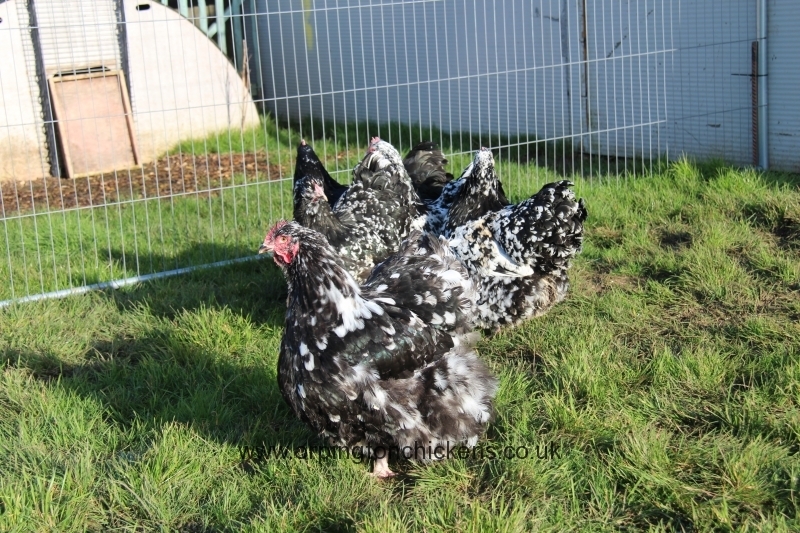 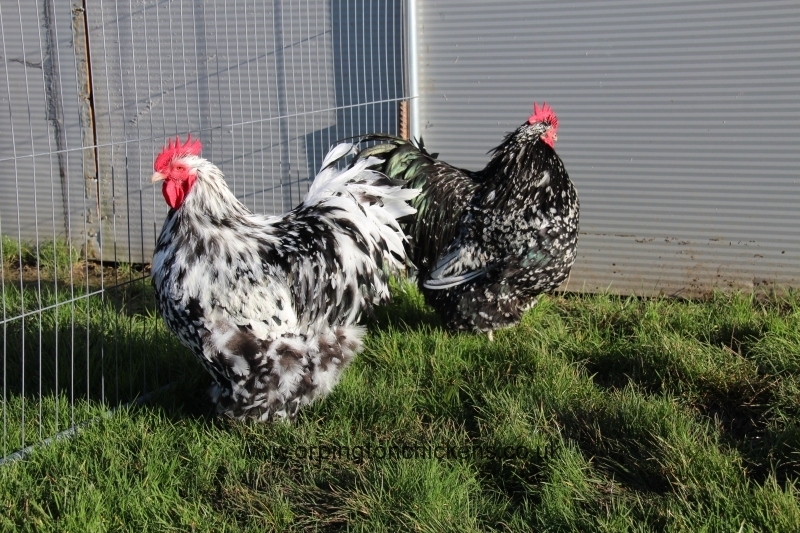 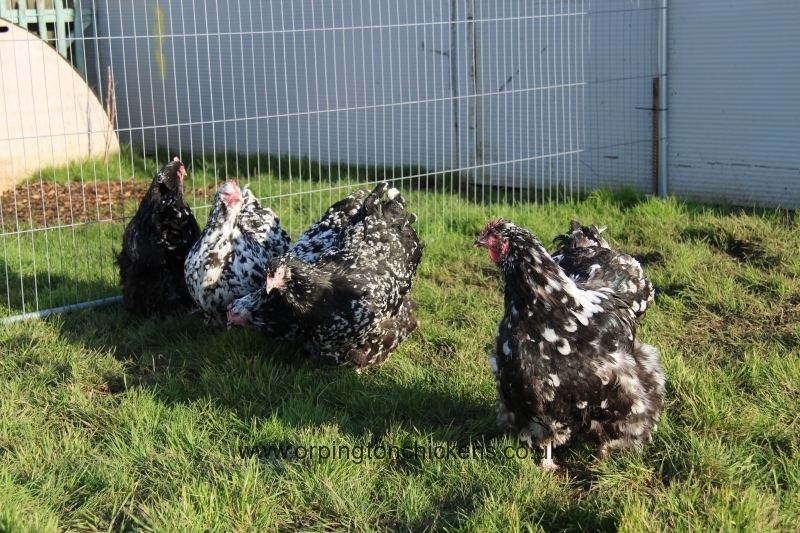 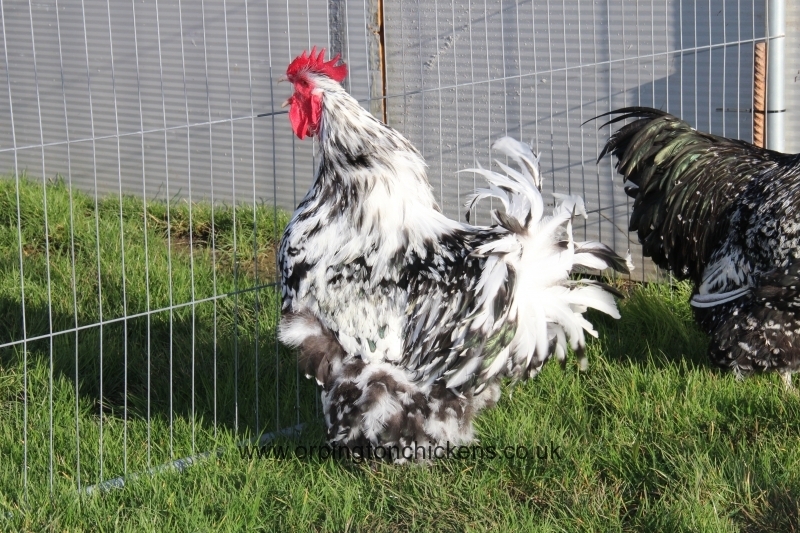 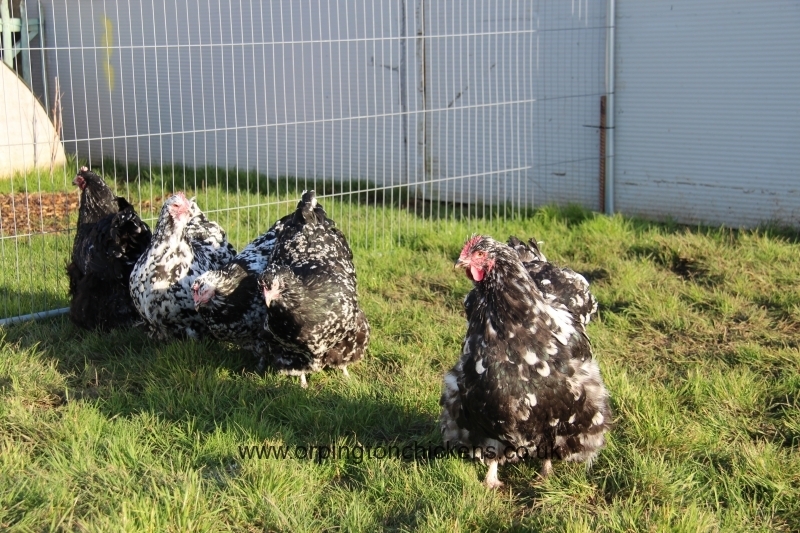 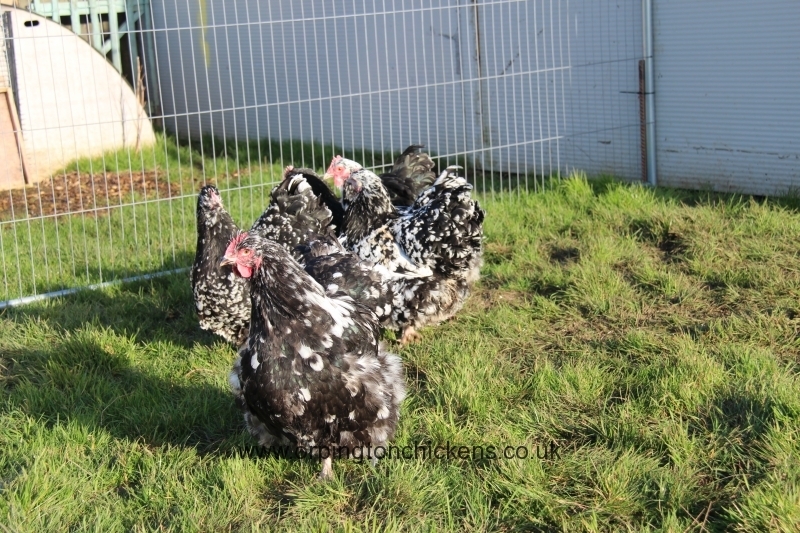 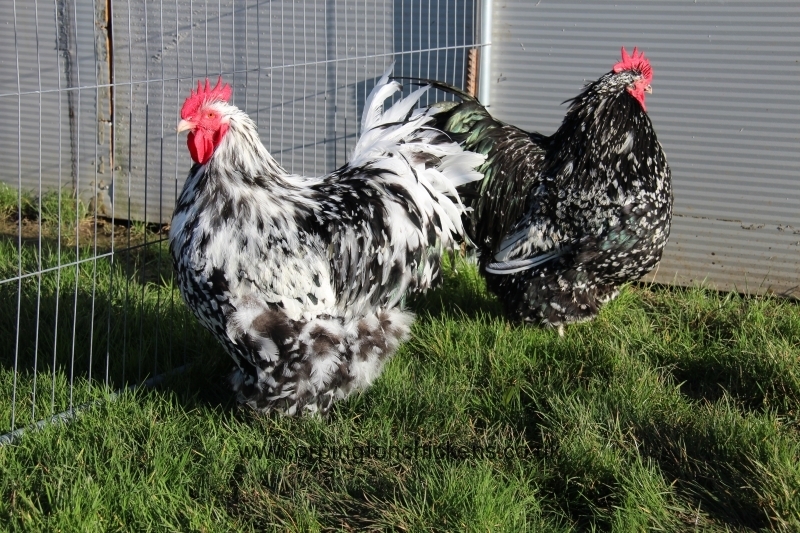 Breed standards for this Spangled / Black mottled Orpington Chicken are as follows: plumage black with white tips,legs and feet mottled,beak black or black and white,eyes brown and skin white. 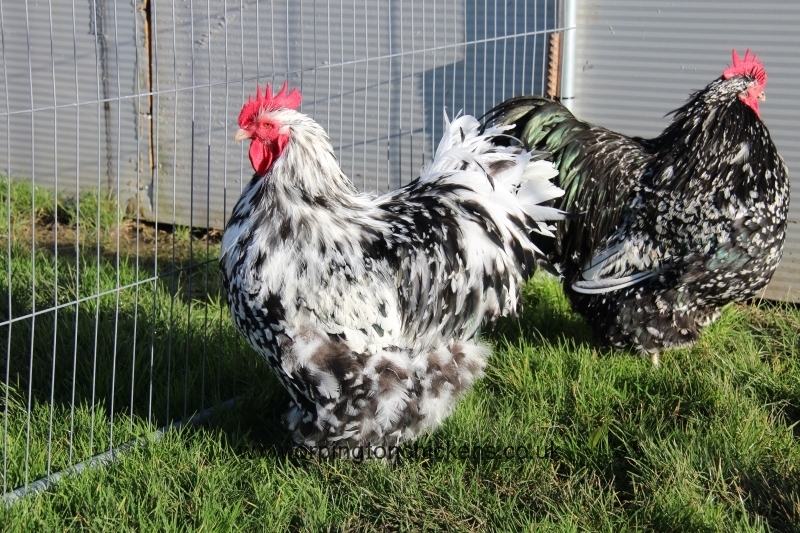 Comb,face,earlobes and wattles should be red. 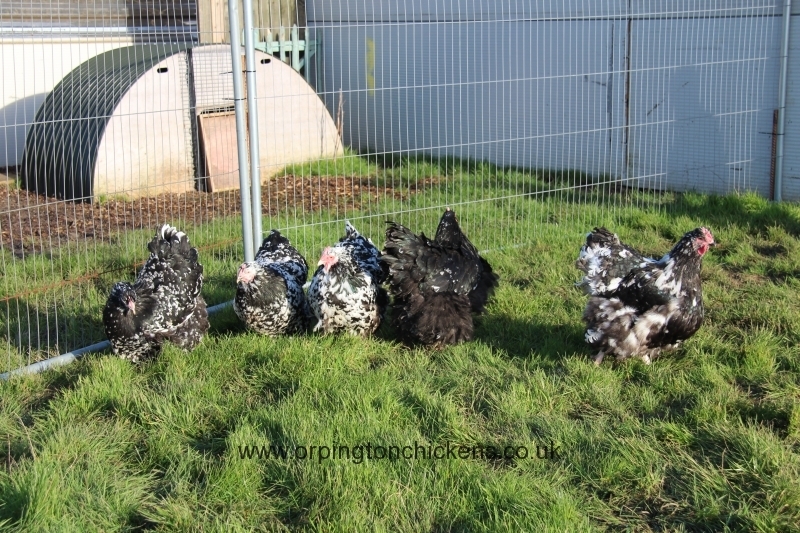 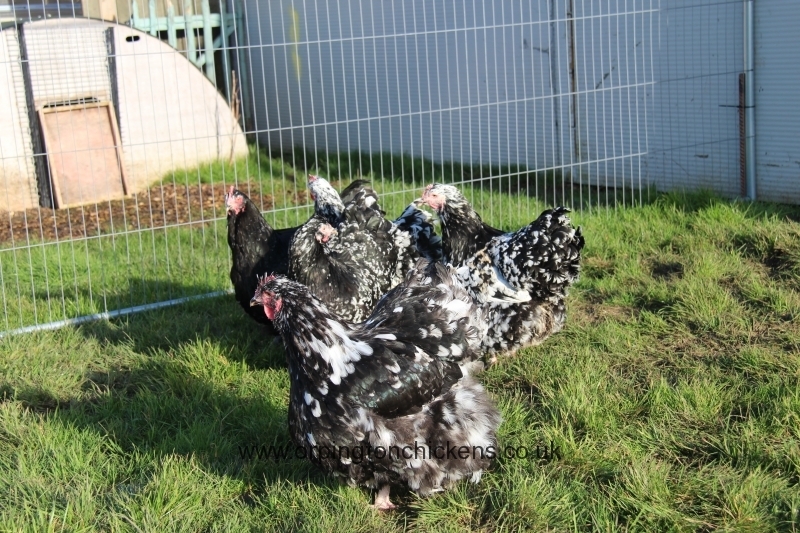 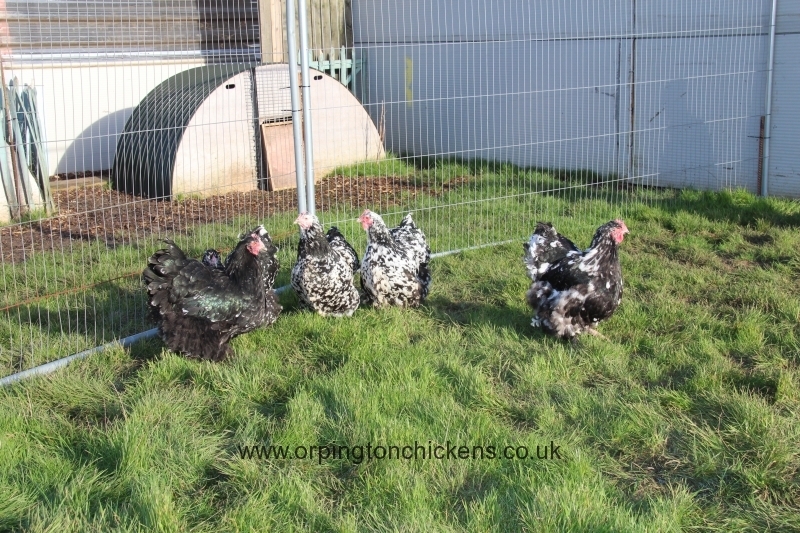 This group of Spangled / Black mottled Orpington Chickens was originally formed from a trio of Bob Follows bloodline purchased from Keiths orps and a trio of Pricilla Middleton birds from Borderlodge poultry in Somerset.One of these bloodlines had excellent ‘type’ the other had excellent colouring, and together we have created a bloodline that has produced some truly superb spangled birds. 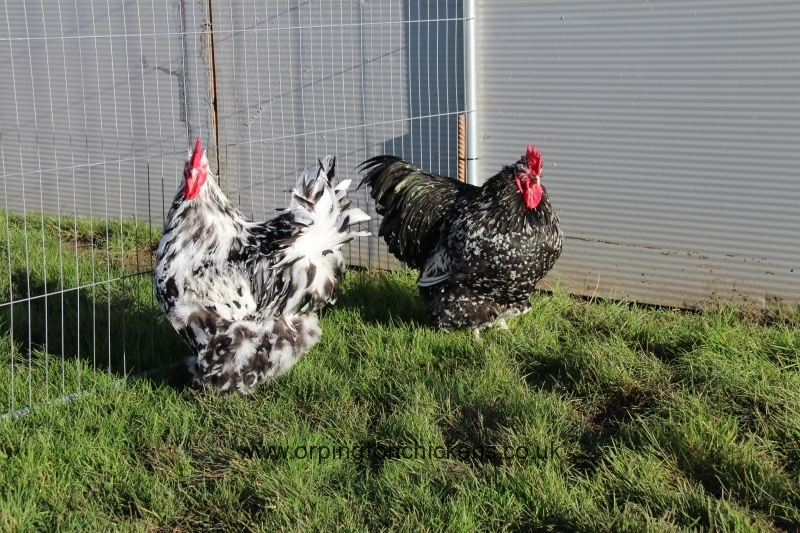 During 2014 we were fortunate enough to be given some spangled hatching eggs by Jane Allman from which we hatched some excellent examples to strengthen the group further. 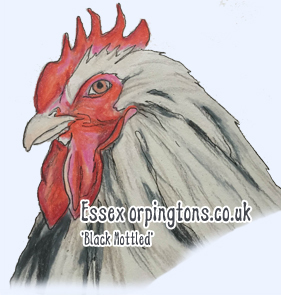 This colour is also sometimes referred to as black mottled,particularly on the continent. 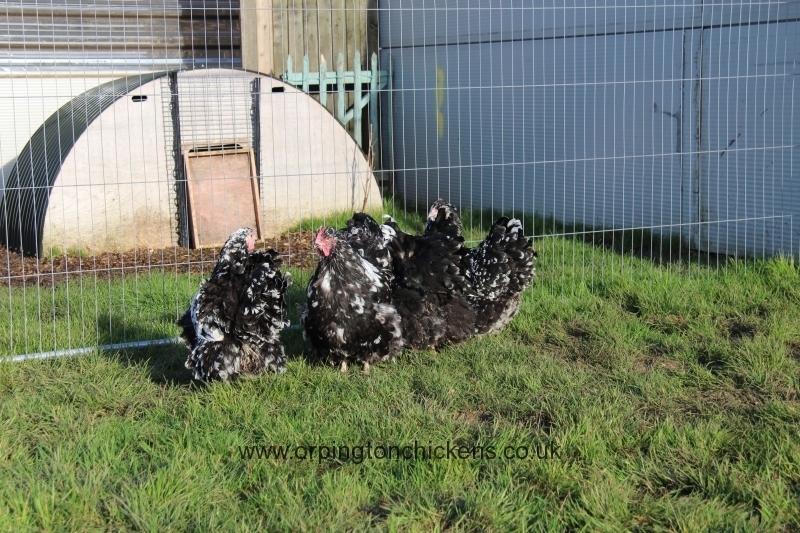 1 x Black Mottled / Spangled orpington hatching egg laid by our own hens. 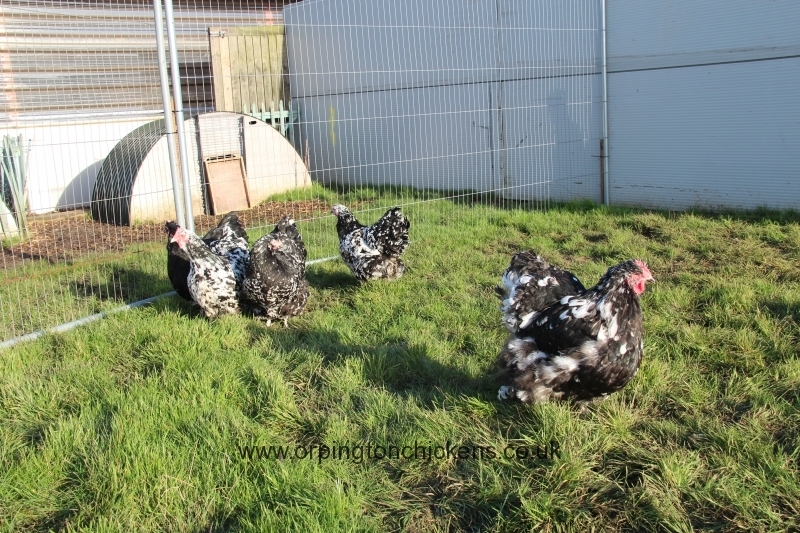 These Spangled / Black Mottled Orpington pullets (pullet is a female under 18 weeks old) have been bred from our own flock and hand reared at our Essex Orpingtons farm. 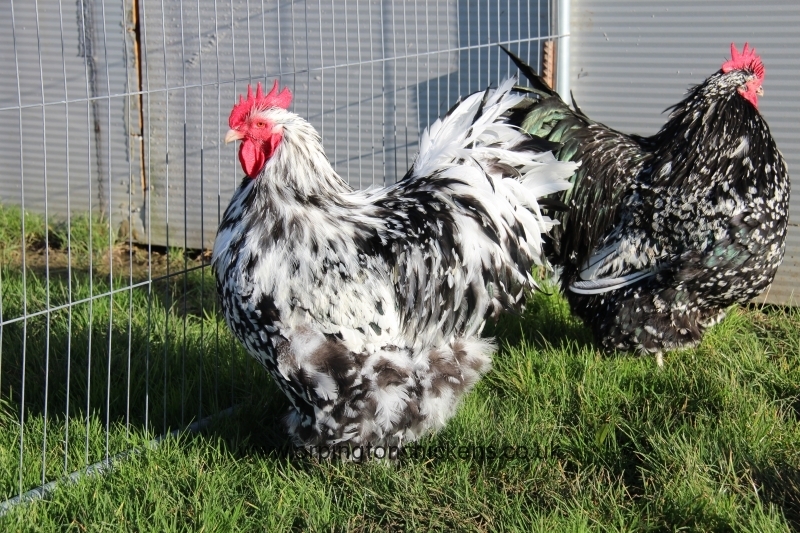 Although the Spangled / Black mottled Orpington Chickens was first created in Orpingtons in 1900 it was only recently recognised as a breed standard colour again thanks to the efforts of Nigel and Jane Allman who led the crusade for it to be standardised again. 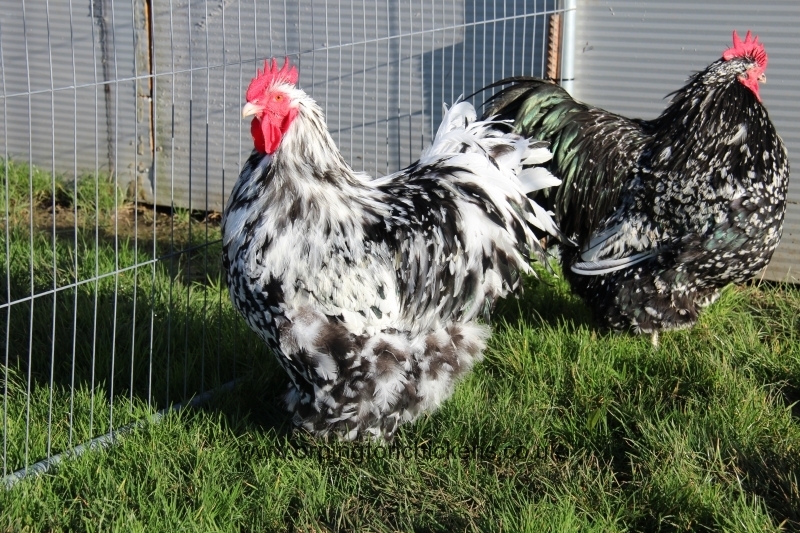 The mottling gene is a recessive gene so the bird needs two copies of the gene to show its characteristics. 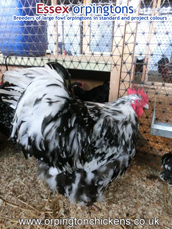 This pattern gene also often expresses itself much better after the first molt and many young birds may not initially carry much mottling until they go through the molt.